If your organization seeks to inspire action, challenge the status quo, and make a profound difference in the world, the Social Impact Pavilion within the SXSW Trade Show is right up your alley. Lucky for you, applications are still open. 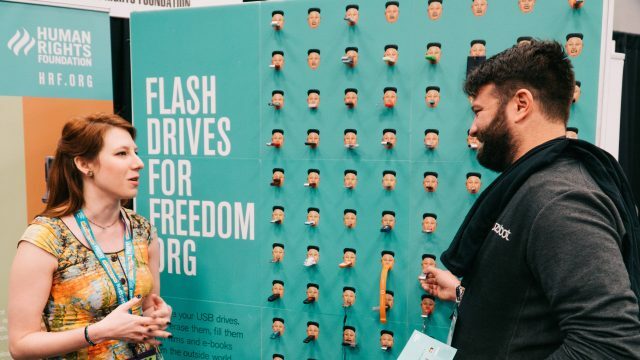 Last year, the SXSW Trade Show brought more than 300 thriving, creative businesses from 27 countries together under one roof. As the largest exhibition at SXSW, it’s dedicated to launching innovation and promoting discovery. This is your chance to work and network among elite industry leaders. Falling under the Trade Show umbrella, the Social Impact Pavilion is the ultimate opportunity to share your mission with more than 74,000 exhibition attendees. We’ve devoted an entire section of the SXSW Trade Show to non-profits and organizations whose focus is to bring awareness to distinct causes. Educate attendees on the vitality of global philanthropy. Discuss animal rights and adoption processes. Empower masses of people who have been searching to be a part of a movement greater than themselves. No matter the objective, the SXSW Social Impact Pavilion enables you to amplify your call to action. Be the change. Make your mark. Space is limited so apply to be a part of SXSW Social Impact Pavilion! The post Make Your Mark: Apply to the Social Impact Pavilion appeared first on SXSW.